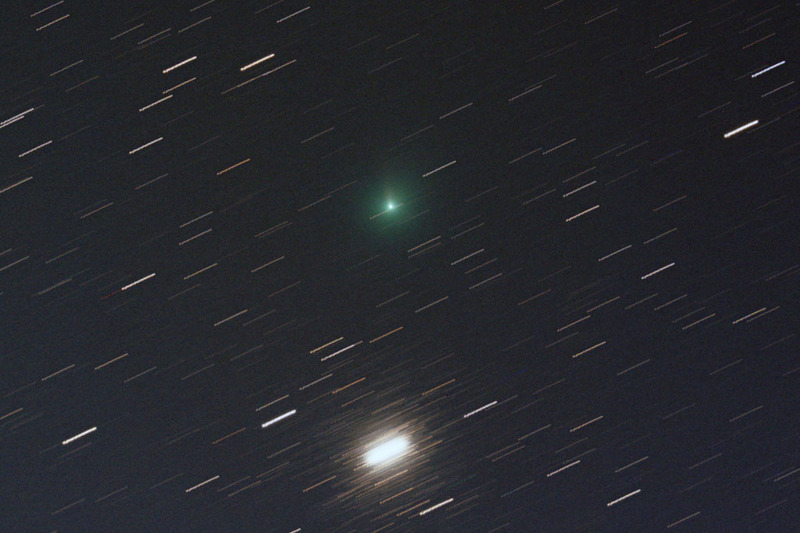 40 x 30 second exposure at 1600ISO on 22 July 2007 between 21:40 and 22:05 UT. 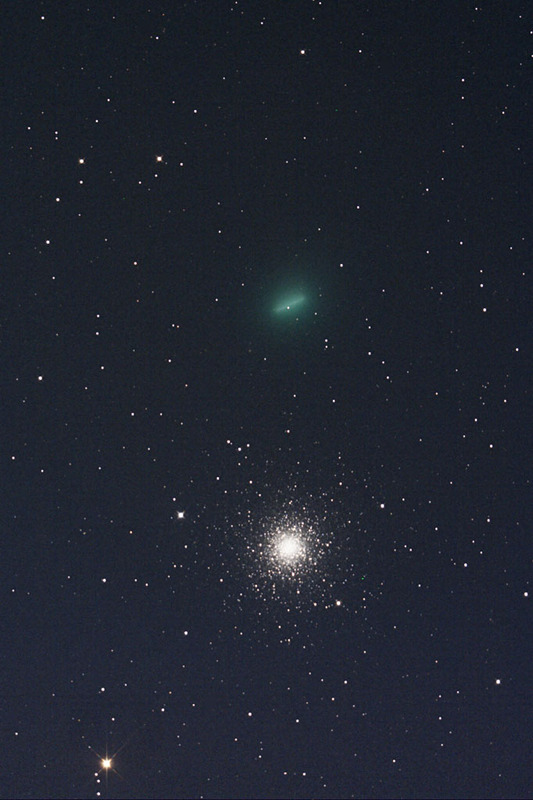 The comet was passing by M3 this night. The sky was dark blue due to the "grey nights" here at 53 degrees North latitude. This is a 50% crop. 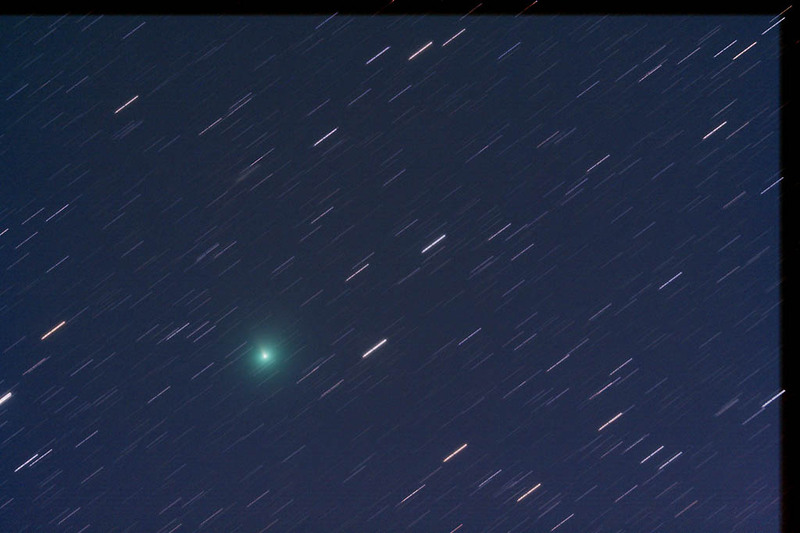 This image was made with a modified Canon 350D, and a 20cm (8") f/2.75 ASA Astrograph. 40 x 30 second exposure at 1600ISO on 14 July 2007 between 21:56 and 22:27 UT. The sky was dark blue due to the "grey nights" here at 53 degrees North latitude. 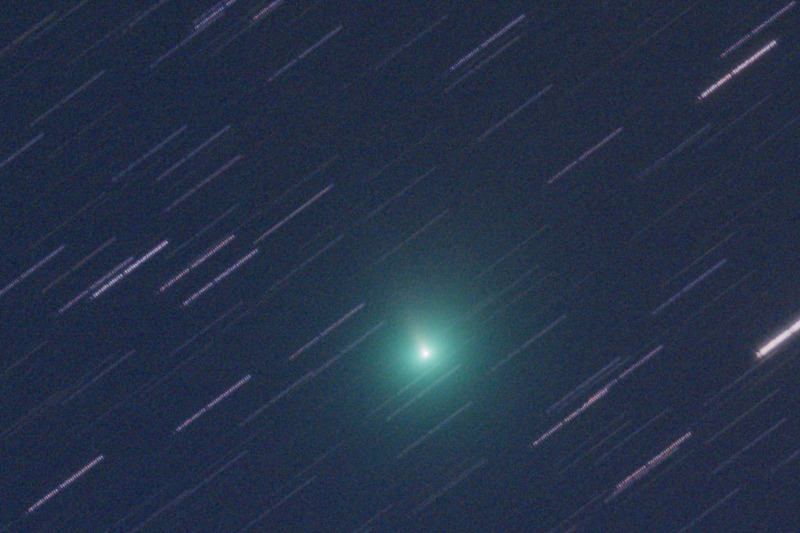 This image was made with a modified Canon 350D, and a 20cm (8") f/2.75 ASA Astrograph.